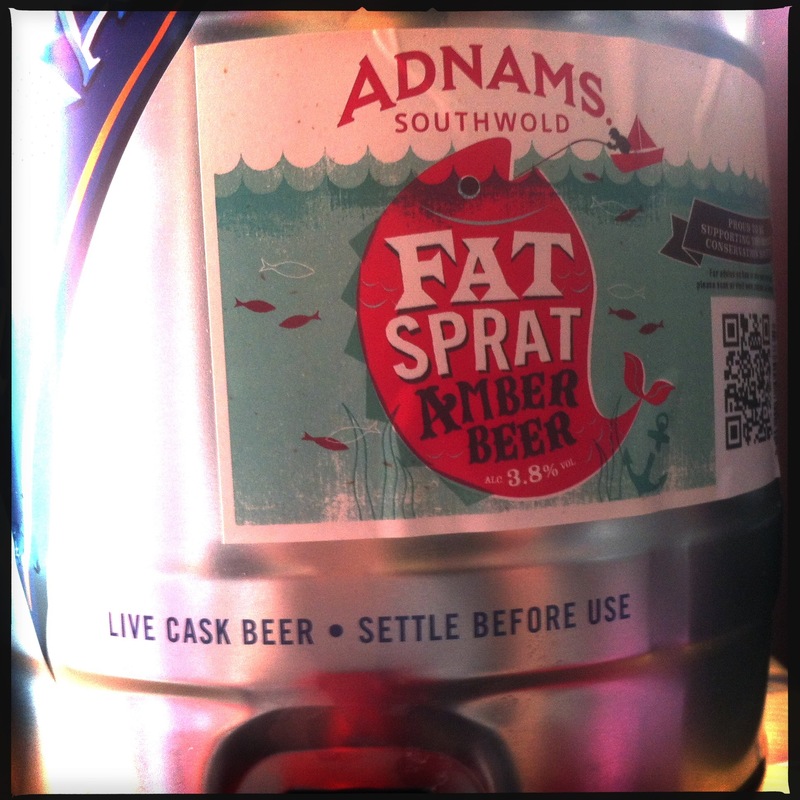 Brewed in support of The Marine Conservation Society, Fat Sprat is one of Adnams’ seasonal beers for 2013. This one’s a summer ale and I like it a lot. Fat Sprat pours a glowing amber and smells of lightly spiced honey biscuits. Unsurprisingly that’s where the flavours begin, with a rich gooey toffee, lots of shortbread and sticky honey covered in a handful of mixed peppercorns that pop and snap in a rather delightful way. The mix of hops – Columbus, English Goldings, Cascade and Chinook – provides a sharp citrus freshness and a soft floral bouquet that leaves a crisp bitter sweet finish. My only problem is that I prefer my beer much colder than this and the mini cask makes cooling it rather difficult. All in all, a lovely light session beer that’s perfect for a sunny summer’s day. 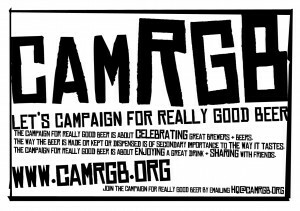 This entry was posted in Beer Review, CAMRGB and tagged Amber Ale, Beer, Beer Review, CAMRGB, Drinking, Mini Cask. Bookmark the permalink.